Click on map to view larger vesion. What time period of migration does this map cover? 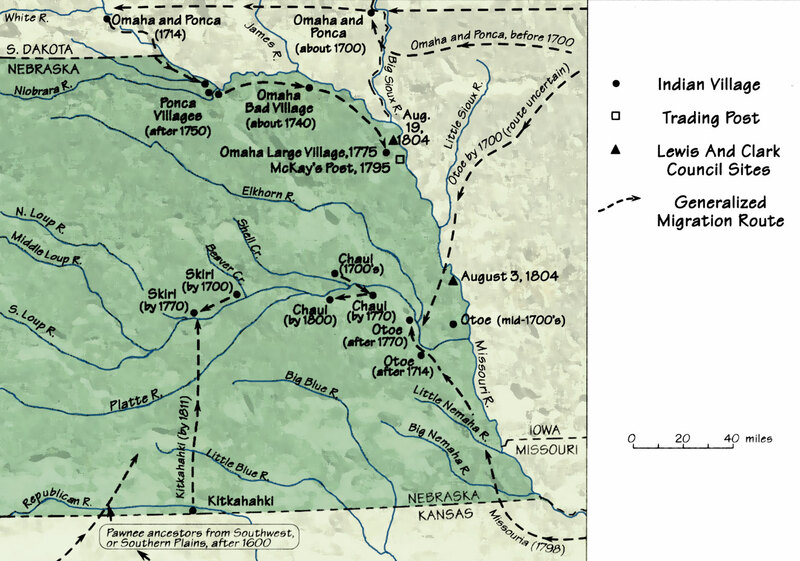 Who traveled with the Ponca in the early 1700s? Examine the map legend. What do the solid dots represent? What are the villages, trading posts and council sites all located on/around?